Looking to the week ahead, traders and investors alike can rely on many of the same culprits to drive price action across a number of asset classes. 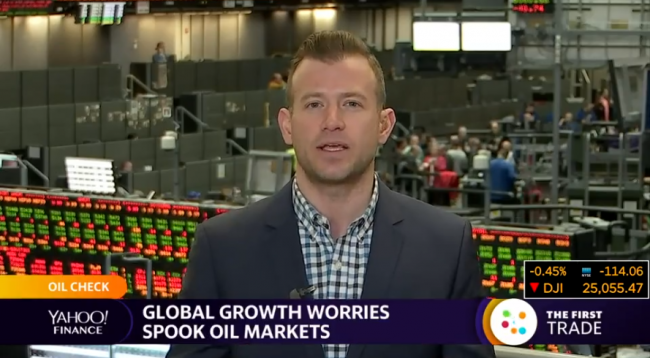 U.S and China trade, the Feds growth fears and a looming government shutdown are all in the spotlight again this week. On the trade front, lower-level talks kick-off in Beijing Monday. More meaningful talks between U.S Trade Representative Lighthizer, U.S Treasury Secretary Mnuchin and those from China begin Thursday. The White House insists that it is pressuring China to give-in on stealing intellectual property and forced technology transfers in order to make a deal. Investors have inflated markets with hopium, however, we at Blue Line Futures have been less optimistic pounding the drum that there has been absolutely zero substance in any of these talks. Last week casted the first signs of doubt over a potential deal ahead of the March 1st deadline. On Thursday, White House chief economic advisor Larry Kudlow said there was a sizable distance between the two sides. Furthermore, President Trump is now not expected to meet with Chinese President Xi ahead the deadline, where he could raise tariffs on $200 million worth of Chinese goods. Our rhetoric remains the same; show us substance. On the heels of a number of poor economic indicators including a contraction in both Factory Orders and Industrial Production from Germany amidst international trade headwinds, tighter monetary policy and the never-ending Brexit, the European Commission lowered its 2019 growth forecast last week. Two weeks ago, the Federal Reserve themselves arguably crossed over to dovish territory for many of the same reasons that ultimately equate to slower growth.In an article written on January 31st, we called the Fed wrong.While growth fears were certainly budding in December, the economic data that we have gotten in January has not been bad. We believe the Fed will now be doing the Tango one step behind a fickle rhetoric. Last week, Fed Chair Powell said, the U.S economy is now in a good place and Fed Governor Quarles said, the outlook is very solid. This week, we will hear from no less than six Fed officials with the most important being Fed Chair Powell on Tuesday.Last week, Bill Baruch spoke with CNBCs Trading Nation saying he expects the Feds rhetoric to cross back into hawkish territory. What could sway such? The data of course. Inflation has not shown any signs of running away and although this does not encourage a very hawkish Fed, stable inflation certainly does not encourage a dovish one. A key read on January CPI is due Wednesday. December Retail Sales plays catchup on Thursday. Fresh Manufacturing and Michigan Consumer data are due Friday. Quietly, one growing headwind to growth is another looming government shutdown. This will mark only the third week the government has been open this year. Washington now has until Friday to pass a spending bill in order to keep it open. The White House has said that every week the government is shutdown, it decreases GDP by 0.1%. More important that what the equity market does in the near-term will be what Treasuries and the Dollar do. The 10-year Treasury Note rallied for four session to finish the week and the Dollar Index has essentially traded higher for seven straight sessions. Although hopium inflates equities during an average earnings season, the Dollar and safe-haven assets are singing a bit of a different tune. Bill Baruch joined Yahoo! Finance on Friday to discuss the moving pieces in Crude Oil. OPEN A FREE TRADING ACCOUNT TODAY! 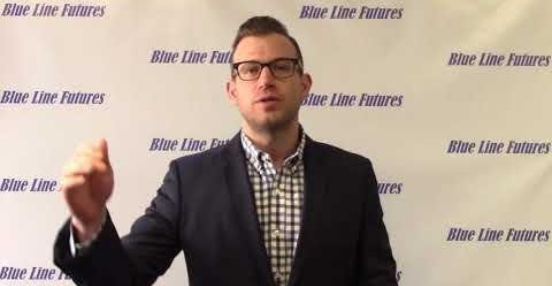 Bill Baruch is President and founder of Blue Line Futures a leading futures and commodities brokerage firm located at the Chicago Board of Trade. Blue Line’s mission is to put the customer first and bring YOU the best customer service, consistent and reliable research and state of the art technology. Bill has more than a decade of trading experience. Working with clients he focuses on developing trading strategies that present a clear objective for both long and short-term trading approaches. He believes that in order to properly execute a trading strategy, there must be a well-balanced approach to risk and reward.